Startup window that includes username and password to ensure your license is matched to your account. Users can access the AggFlow DM control panel, or can choose to bypass the panel and open a worksheet directly. Desktop startup icon for USB program or DM program will start the same program, either icon can be used. Go direct to the AggFlow DM control panel, access all your projects and perform Online Collaboration/Sharing of projects with other licensed and non-licensed users. Ability for design users to Work Offline with USB key from the login panel with “Launch AggFlow DM” or with “Worksheet Only” to avoid blocked or unreliable internet concerns. (Disables the internet enabled features in AggFlow DM such as Online Collaboration/Sharing and Secure Backup to the AggFlow Cloud). USB keys allow offline use for 21 days starting from the first time a worksheet is opened with edit capability, following which a refresh is required. 21 day offline use with key starts from first time worksheet is opened when offline, key refresh is done automatically when internet is available and worksheet is opened with edit capability. There is no charge to update the AggFlow Program for existing licensed USB users. Once the username and password has been created online, AggFlow is ready to use. 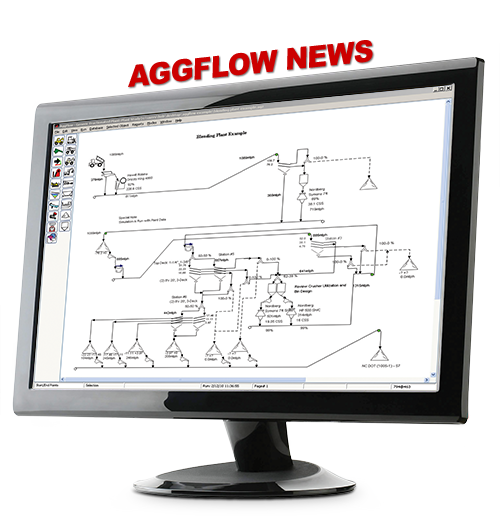 Use this link to download and install AggFlow.